Change the selection color of Windows 7 32 bit without using any extra software. Here is how to do it. Why I am showing you a wrong screenshot? Because; I discovered not all theme files have this string! 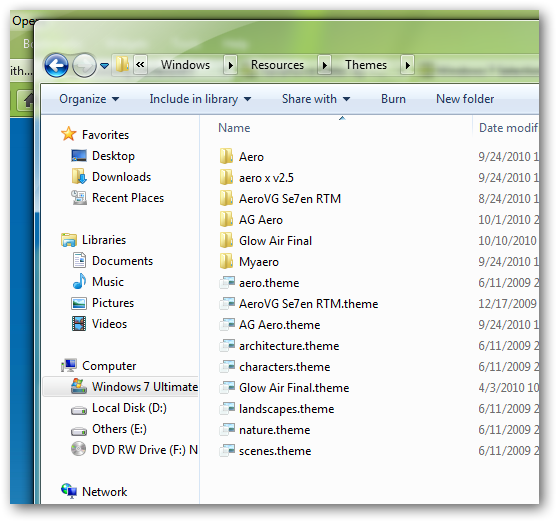 Infact, in 64 bit the string is absent in most of the theme files! Now, you need a software to get the values for the colors. Note that, a color may have double digit value not triple ; i.e., abc=52 xyz=34 pqr=78 ; the values represent RGB value. 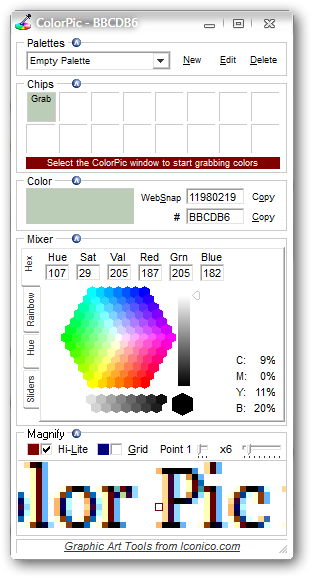 You need a software to pick colors; I use ColorPic free software for this website and other graphical works. You can download it from here. Save the edited file in desktop or some convenient place. Just replace the original one with this one. Remember to save the file as “all files”. Done. 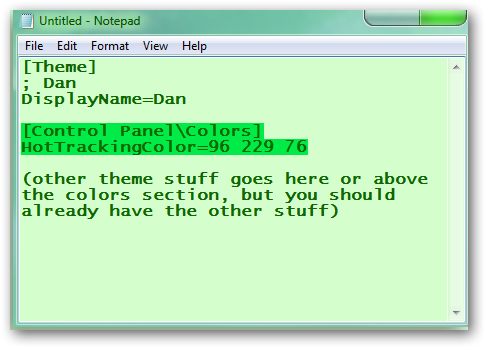 As you can see all the default blue color in the notepad screenshot has been changed to green. Note: If you add the string in 64 bit; the colors of hyperlinks will be changed; not the selection colors. Thanks to flexdaw for sharing this idea and the 32 bit screenshot has been used belongs to him. This Article Has Been Shared 2909 Times! Any of us can have his or her own online TV channel with only a computer with internet access and a camera.Today we are offering a tutorial on how to have your own online TV channel. 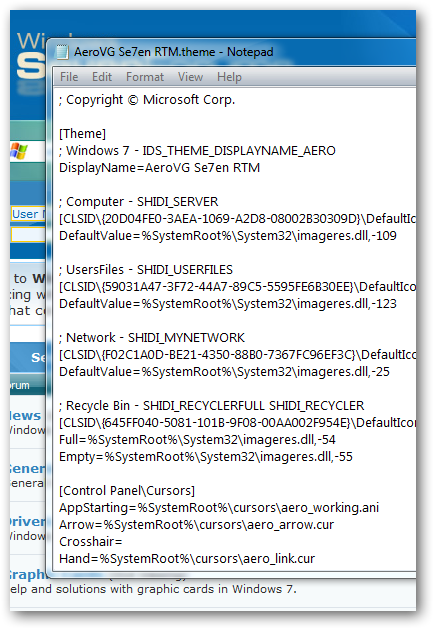 We have gathered information about some well known dangerous dll files of Windows 7 and other operating system. It will work as reference to delete them easily if someone faces such dll file. You can access your website’s ftp server from Windows 7 explorer without using any software. Here is a small yet unique tutorial to perform so. Here is a trick to access your website’s ftp server from your browser in Windows 7, without using other software. 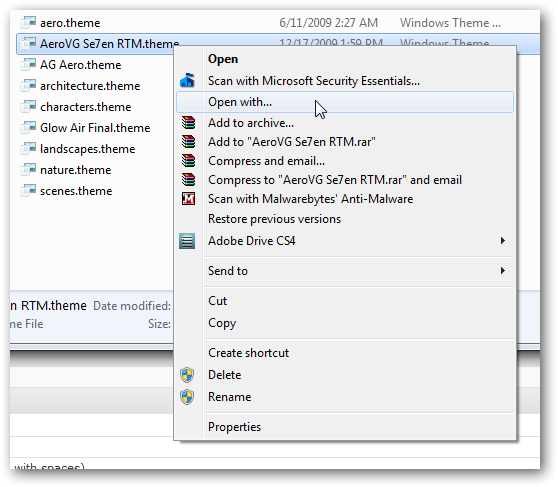 After reading this tutorial, you will be able to add a right click custom named menu and cascading list of submenu of third party or default programs with icons of your choice in Windows 7. This is great but still does not address the selection color inside windows explorer and similar places. They remain blue. that branch belongs to Windows Explorer. Hilight changes the selection color. ButtonFace changes the unfocussed selection color(and other things). 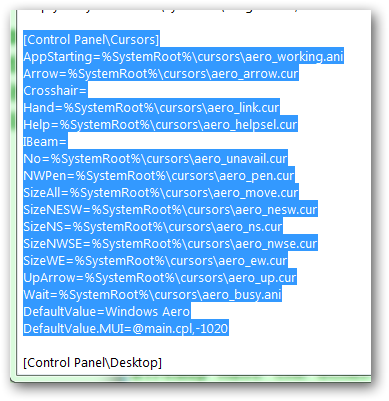 Cite this article as: Abhishek Ghosh, "Change the selection color of Windows 7 32 bit," in The Customize Windows, November 5, 2010, April 19, 2019, https://thecustomizewindows.com/2010/11/change-the-selection-color-of-windows-7-32-bit/.